Corvus Belli sure does love their contests and giveaways, don't they? That's not a complaint, mind you. Any chance to get free models is appreciated. This time around, they're not celebrating any country's national day. They're celebrating Halloween. They've created a special mission pack for you. Those that play the scenarios and post up a report about it will be entered to win an Avatar. So go get your game on! 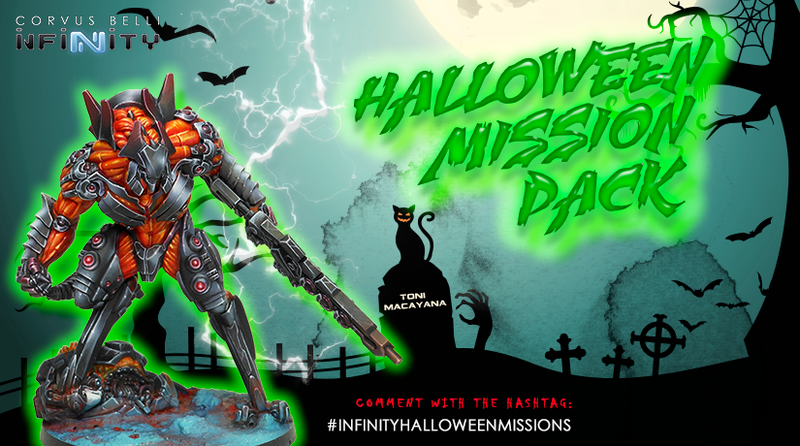 To participate, you just need to link your Halloween Mission Report in this Facebook post, or on Twitter using the hashtag #InfinityHalloweenMission Everyone who post a comment from October 25th to November 1st, will participate in the draw. We'll announce the winner next November 2nd. Good luck to everyone!